Great sound doesn't have to cost a great deal. We designed the VS Series for budget-conscious musicians who demand high quality sound without the high price tag. The VS1520 loudspeaker provides exceptional sound quality at an extremely attractive price-point. It is also supremely portable and well suited for all sorts of sound reinforcement applications. 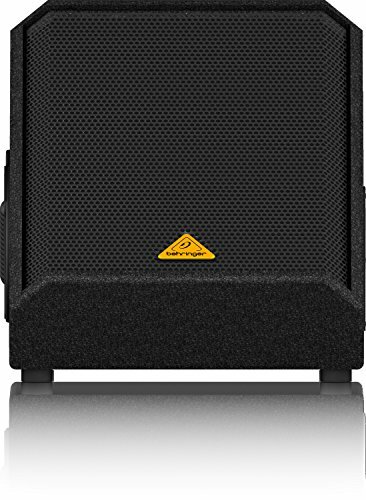 Capable of handling input levels up to 600 Watts, the EUROLIVE VS1520 PA loudspeaker delivers exceptional sound quality. The powerful 15" long-excursion driver cranks out big tone in the bottom end and mid-range, while the wave-guide mounted electro-dynamic HF (High-Frequency) drivers output crisp and detailed highs. The VS1520's wide frequency bandwidth and extensive dynamic range make it ideal for a multitude of applications. High-frequency content can easily make or break your performance. Too much and the sound becomes brittle and obnoxious, too little and it sounds muddy and poorly defined. VS1520's specially designed HF transducers, mounted in a proprietary elliptical wave-guide, deliver natural-sounding high end in an ultra-wide 80° x 40° sound dispersion pattern. The VS1520 loudspeaker has been optimized for maximum reliability through the integrated overload-protection circuitry, ensuring ultimate high-frequency driver protection. Designed to stand up to the rigors of the road, the VS1520 is built to look and sound great, even after years of rugged abuse! VS1520's enclosure allows multiple positioning options: cluster and stacking mode, stand mounting thanks to the built-in 35-mm (1.375") pole socket or positioning as a floor monitor wedge. The VS1520 is capable of extremely high sound pressure levels (94 dB full space 1 W @ 1 m) and provides a 50 Hz to 20 kHz frequency range. And at just over 48 lbs (21.9 kg), the VS1520 is supremely portable. The internal crossover point is fixed at 3.0 kHz. Standard 1/4" TS connectors are provided. Stop by your authorized BEHRINGER dealer today and test drive the VS1520. Compare it to the competition. When you see and hear what the VS1520 offers in sound quality and features, you'll choose BEHRINGER every time!